For protection against the rain and wind, VentVisors are great. For protection against flying rocks and debris, mudflaps can save your fenders and your trailer. We have solutions for tool storage , swing cases and even products to help you lift your truck cap. Imagine accessing your gear by simply pulling a release lever – without reaching over or climbing into your truck bed. 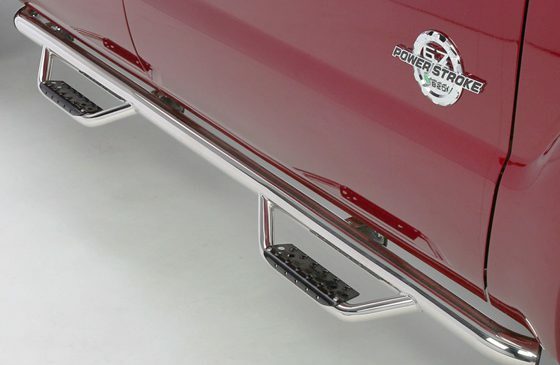 UnderCover, maker of the most popular hard tonneau in the USA, brings you SwingCase. The most innovative and versatile truck storage box ever made. Built to last from lightweight, high impact, ABS plastic, SwingCase is tough, weather resistant and custom fitted to your truck. The SwingCase is a premium, affordable storage solution, and backed by a 1year warranty. 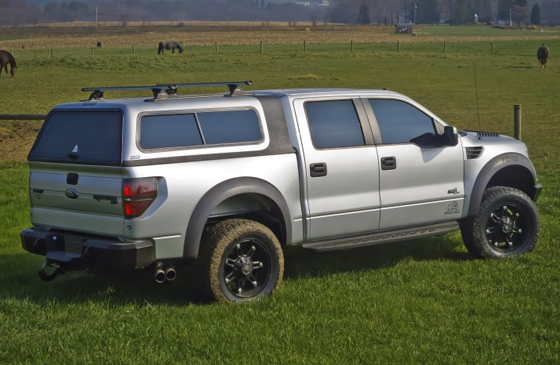 Our “Original” signature Ventvisor® Side Window Deflector is made in the USA and precision-engineered for an exacting fit to the broadest range of vehicles on the market today. AVS Original Ventvisor’s® customized design mounts in minutes to the outside of your vehicle using pre-applied 3M automotive-grade adhesive applied above and around your windows. It’s a quick, no-drill installation to create a perfectly snug and secure fit – completely safe for car washes too! 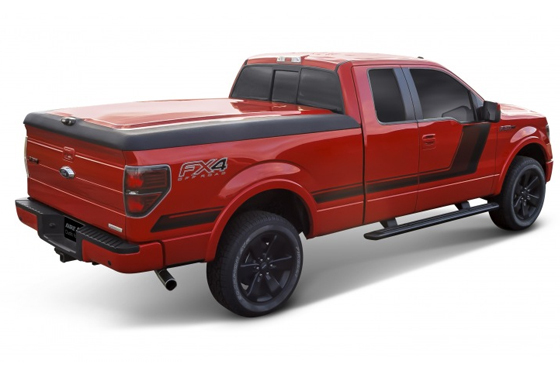 AVS In-Channel Ventvisor® Side Window Deflectors are designed to complete the look of your vehicle adding subtle style while maintaining the functionality you desire from a side window deflector. The Ventvisor installs in the window channel for a streamlined appearance, but still allows fresh air to naturally circulate through open windows while keeping the rain and wind out. The WeatherTech FloorLiner DigitalFit accurately and completely lines the interior carpet giving “absolute interior protection!” Digital laser measurements of interior surfaces offer a consistently perfect fit! A patent pending High-density Tri-Extruded (HDTE) material allows for a rigid core for strength while offering surface friction to the carpet, as well as tactile feel to the surface! Advanced surfacing creates channels that carry fluids and debris to a lower reservoir with further channeling to help minimize fluid movement while driving! Once fluids become trapped in the reservoir, away from shoes and clothing, they are easily removed from the WeatherTech FloorLiner DigitalFit over the door sill… no muss-no fuss! The WeatherTech MudFlap – Laser Measured for a Perfect Fit set literally “mounts-in-minutes” (in most applications) without the need for wheel/tire removal, and most importantly – without the need for drilling. Contoured specifically for each application and molded from a proprietary thermoplastic resin, the WeatherTech MudFlap will offer undeniable vehicle protection. The TopperEZLift is a self-install topper lifting system. This all electric system is powered directly from your vehicle’s 12 volt battery. Which means no hydraulics or air to worry about. While holding the safety switch select up or down on the control box, operation is that easy! The linear actuators are capable of lifting a total of 900 lbs. with a lifting height of 17.5 inches, and seals firmly back down onto your truck bed. Eliminate headaches from removing your topper on those large loads, eliminate crawling on your hands and knees to reach your cargo, simply lift the topper up to solve those problems. The toughest truck tool box ever built. 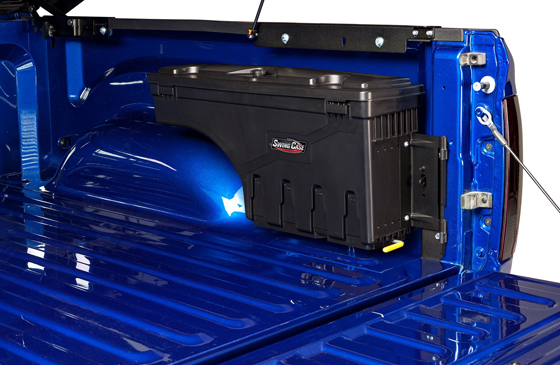 This double-lid, saddle-style truck tool box rests on both side rails of your truck. The Gullwing’s raised center and lowered lid entry allows for full pass-through storage, so long items can easily be stored and hauled safely. Every Gullwing truck tool box is constructed from military-grade aluminum, so it will never rust. Gullwing truck tool boxes are available in sizes to fit all pickup trucks, and like everything else we build, they come with HPI’s transferrable lifetime warranty. We build our Gullwing Truck Tool Box from diamond plate 5052 aluminum, the same material used by the military, aircraft manufactures and boat builders. UWS truck tool boxes are built right here in the USA and are available in a wide variety of sizes and styles. Each crossover truck tool box features our patented rigid-core lid, extra-thick aluminum construction and convenient operation from either side of the vehicle.